Leone and Michele play football together, puff their first cigarettes, and exchange conspiratorial glances while secretly scrubbing their teeth in conspiracy afterwards. Michele, a boy from a wealthy family, loves to spend time at the chaotic but loving home of his friend Leone. Up to now, their different backgrounds were never an issue. Today Michele has brought a huge pot of lobsters, and carries the living creatures into his friend’s kitchen. Gregorio Franchetti was born and raised in Rome. After graduating from SOAS, University of London, he worked on several independent film sets and subsequently enrolled in Columbia University’s Directing and Screenwriting MFA program. 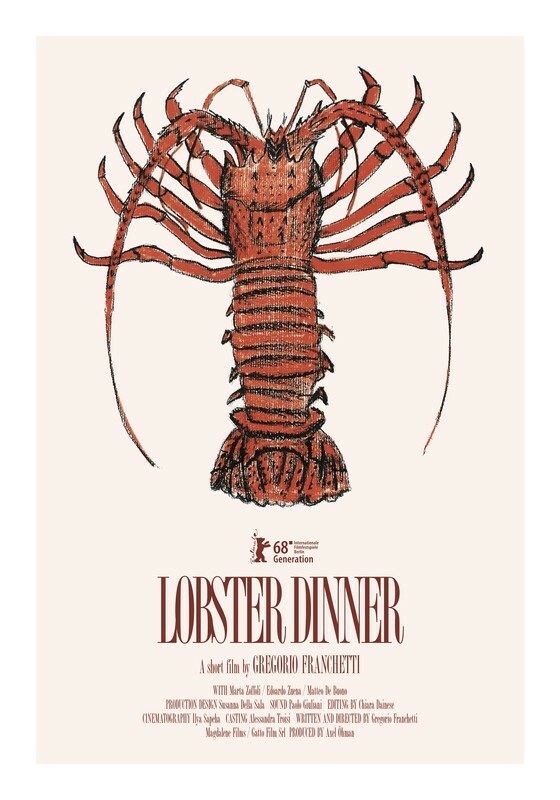 His thesis film “Lobster Dinner” premiered at the 68. Berlinale where it won the special mention of the Generation K+ international jury.